The Nokia 9 PureView is days away from launch. In the US, sales will start on March 3, available from Amazon, B&H and Best Buy. While those retailers list the price as $700, HMD will actually launch its new flagship with a discount. From March 3 and until the 11th, the Nokia 9 will cost $600 – a $100 discount. That’s very aggressive pricing for the first 5-camera flagship, especially at a time when the market leaders are trying to push north of $1,000. 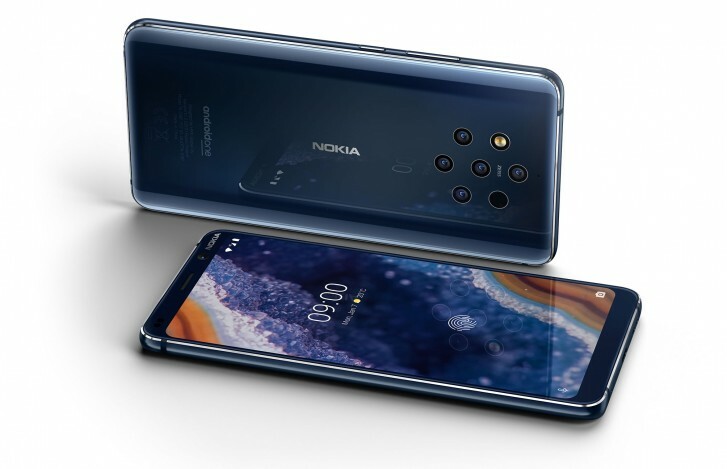 In Europe, you can get the phone straight from Nokia.com, available on April 1 – nearly a month after the US. It’s €650 in most countries (but not all, e.g. it’s €600 in the Netherlands and €700 in France). There’s no discount, but you get 1 free screen replacement (worth €100). In the UK it's £550 for the phone and you get a pair of Nokia True Wireless Earbuds. While you wait, you can pass the time by looking at the camera samples and reading our hands-on review (complete with video). There’s no word on the Nokia 4.2, 3.2 and 1 Plus, by the way.